South Australians are charged some of the highest electricity rates in the country, so it’s no wonder that nearly one in three SA households have installed solar panels. Solar is a great way to reduce those eye-watering power bills, all the while improving your home’s self-sufficiency, minimising its environmental impact, and even improving its value. If you’re looking to install solar for the first time or simply want to upgrade your current system, this article will walk you through everything you need to know about solar power in South Australia. We discuss solar prices, tariffs, buying tips, rebates and more. 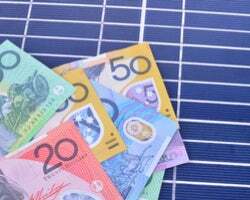 How much do solar panels cost in South Australia? The hefty price tag unfortunately remains a major impediment for those looking to install solar panels. Typically, a South Australian household can expect to pay between $3,000 and $5,000 for a new solar system fully installed. This, of course, depends on the make and size of the system. For a smaller system (3kW and under), you shouldn’t expect to pay any more than $4,000. If you’re in the market for a much larger system – say 10kW – then it should cost in the vicinity of $10,000. How many households have solar in South Australia? Over 240,000 South Australian homes already have solar, which accounts for around 31% of all households according to the Clean Energy Regulator. In fact, excess solar power exported from rooftops to the grid has been recorded to account for as much as half the state’s energy demand. In fact, the uptake of solar has been so overwhelming that some experts suspect the government may scale back its subsidies in the near future. This could mean you might be better off installing solar sooner rather than later. There are a few rebates on offer in SA to help you save on solar, as well as to see a much faster return on your investment. The main incentives discussed in this article are Small-scale Technology Certificates (STCs) and feed-in tariffs (FiTs). Small-scale Technology Certificates are a form of rebate on the upfront cost of your solar system. Essentially, when you purchase solar panels, you will receive a number of certificates that can be sold for cash. The number of certificates you receive depends on the expected output of your solar system over its expected life. Certificate numbers will also vary depending on your ‘zone’. 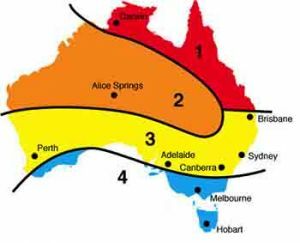 As the diagram illustrates, most of South Australia, including Adelaide, is in Zone 3. The few South Australians that reside in Zone 4 will receive fewer certificates for their installation, while the few that fall into Zone 2 will receive more. Through the day when your solar panels are producing electricity and no one is at home to use it, the excess power will flow onto the shared energy network. In return, you will receive what’s known as a ‘feed-in tariff’ – a rebate of around 10 to 20 cents for each kWh of electricity exported. In addition to the savings made from using your own solar power, feed-in tariffs can help lower your bills further and help you recover the cost of your panels sooner. That said, a good FiT doesn’t always mean a good deal. For example, if you’re on a generous FiT, but you’re paying high electricity rates, then overall you could be paying more for power. When shopping around for an energy plan, be sure to consider a range of factors including the FiT, electricity usage and supply rates, discounts and other terms of the contract. 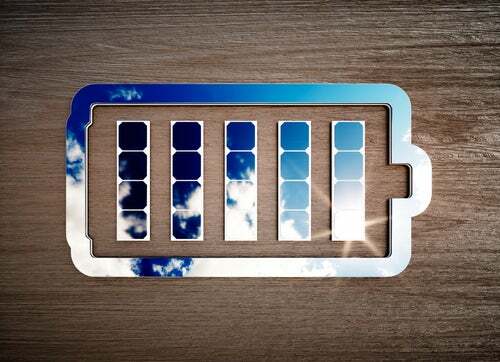 Installing a solar battery gives you the ability to store the electricity generated by your panels to use later on, rather than feeding power into the grid. 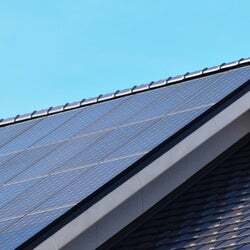 You do not receive a feed-in tariff for electricity stored in your battery, however since FiTs are typically no larger than 20c/kWh, while electricity usage rates are around double that, you will probably save more on power bills by storing your solar and using your own electricity instead of the grid’s. So, what’s the catch? Unfortunately, solar batteries remain quite expensive, with large self-contained batteries costing in the vicinity of $8,000 to $11,000. There are however smaller, modular batteries on the market that could provide some power bill relief for around $2,000. A solar battery can help drastically reduce your home’s energy bills, however the large upfront cost of these systems mean they won’t always be a sound investment. Generally speaking, it will take about 10 years for a solar battery to recover its initial cost through electricity savings, however some batteries are not actually warranted to last that long. That said, the government’s new ‘Home Solar Scheme’ will help thousands of homes with the cost, making solar batteries more viable. 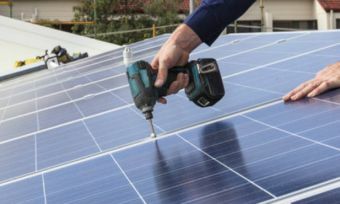 To make solar batteries more affordable for South Australians, the state government announced the Home Solar Scheme in October 2018. Under this scheme, 40,000 SA households can receive a subsidy to cover the upfront battery installation costs. Standard households will receive $500 per kWh of battery storage, while energy concession households will receive $600 per kWh, up to a maximum of $6,000 per battery. For example, if a standard household installed an 8kWh battery, they would receive a $4,000 subsidy ($500 x 8kWh). The government is also offering a low-rate loan service to households looking to install a solar battery. Is solar a good investment in SA? Almost any South Australian could tell you how expensive electricity is, so solar power just makes sense. By reducing your dependence on grid electricity, you could save hundreds of dollars every year and likely recover the cost of your solar system in the long run. With that said, whether solar is right for your home is entirely dependent on your own circumstances, so be sure to carefully consider your own needs and get a quote to speak to an expert. What to consider before getting solar? While solar can save you money, there are a few things you need to consider to ensure it’s the right choice for you. For more information, check out Canstar Blue’s full solar panel buying guide. Does your home receive enough sunlight? Solar panels obviously need sunlight to work, so solar is most effective in sunny areas and on unshaded roofs. If your roof is shaded by trees, consider if it’s worth having them pruned. Additionally, solar panels should ideally be installed facing north to maximise solar output. If don’t have a north-facing roof, or your roof is flat, then your solar installer may install brackets to help angle the panels correctly. This does however cost slightly more. What sized solar system would I need? The typical rule of thumb is that a solar system can produce four times more electricity than its listed size. For example, a 4kW solar system should produce 16kWh on a sunny day. A typical four-person household uses around 20kWh of electricity each day. If you wanted to match all your electricity consumption with solar power, then you would need a 5kW system. Smaller 1-2 person households typically use about 8 to 12kWh of electricity per day, in which case you probably don’t need a system any bigger than 3kW. If you’re installing a battery as well however, you might want to opt for a slightly larger solar system. Solar panels generally last at least eight years, so it’s important to think long-term when shopping for solar. If you anticipate that your energy needs will change drastically in the future, then be sure to factor this into your purchase decision. Additionally, consider whether you plan to lease or sell the property in the near future. You won’t usually be able to take your solar panels with you when you leave, but it can appreciably improve the property value.